The Mexican League's Fall 2018 season has been anything but triumphant for the Quintana Roo Tigres thus far. With a 6-18 record, the Cancun squad currently occupies the LMB South basement with the worst record in the circuit after a surprise Spring showing that included a playoff appearance and stretching eventual champion Yucatan to seven games in their first-round series. Their slow start cost former manager Tim Johnson his job, with Hector Hurtado taking over the helm on July 22. 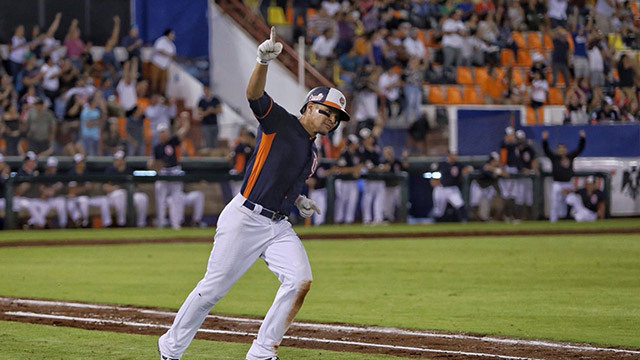 The gloom and doom was broken, however briefly, by a three-homer night for Quintana Roo second baseman Manny Rodriguez last Tuesday in an 11-3 Tigres win over Leon at Cancun's Estadio Beto Avila. Rodriguez socked longballs in three consecutive innings, going deep against Bravos starter Dustin Crenshaw with a solo shot in the fourth frame, followed by a two-run bomb off Crenshaw in the fifth and another solo blast in the sixth against Leon reliever Edwin Quirarte. It marks at least the second time the four-time All-Star has hit three homers in a single game, having turned the trick in 2014 en route to a career-best 28 homers when he was with the Saltillo Saraperos. This has been a turbulent season for the 36-year-old Guasave native, who left the Monclova Acereros during the Spring season, citing internal problems on the team. After cooling his heels for more than two weeks in California, Rodriguez was assigned from the Acereros' reserve list to Quintana Roo on April 26. After having hit .308 with a homer and 16 RBIs in 15 games for Monclova, he only hit .219 over the remaining 26 games of the regular season for the Tigres, although he did rap four homers. The second season is going better for Rodriguez, as he's showing a .333 average with seven homers and 21 ribbies in 26 games in what has to be shaping up to be a frustrating season for the proud veteran. Despite that loss to Quintana Roo, things have gone much better for Leon, who now lead the LMB South with a 13-9 record despite losing two of three games in Yucatan over the weekend. The Bravos sit a game-and-a-half ahead of streaking Puebla, winners of their past six games after series sweeps over Campeche at home and at Tabasco last week to lift their season mark to 12-11. Third place in the South is jointly held by Oaxaca and Yucatan at 12-12. Monclova continues to lead the North with an MXL-best 18-6 register despite the unexpected departure of new manager Carlos Garcia and arrival of new skipper Pedro Mere, who was jettisoned by Tijuana between seasons (more on that below). The Toros are tied with surprising Dos Laredos for second with identical 15-9 records, followed by Aguascalientes and defending North champ Monterrey, who share the fourth slot at 13-11. Change continues at the top of the batting race list, with Campeche outfielder Asael Sanchez becoming the latest LMB leader with a .442 average, one point ahead of Yucatan infielder Everth Cabrera. A 31-year-old Nicaraguan who played 300 games for San Diego between 2012 and 2014, Cabrera is having a good 2018 for the Leones after hitting .330 in 29 games for the Spring pennant-winners after landing in Merida following an April 24 swap with Union Laguna. Monclova's Cesar Tapia rapped a homer against Tijuana Sunday to take the Liga lead with eight homers, breaking a tie with Quintana Roo's Rodriguez, Felix Perez of Aguascalientes and Laguna's Viosergy Rosa, who joined the Algodoneros a month into the Spring season after being selected a 2017 postseason All-Star in the AA Texas League for the Athletics' Midland affiliate. The RBI leader is Delmon Young, a one-time American League Championship Series MVP for Detroit in 2012, who's driven in 32 runs for Puebla in 23 games. Ex-Cubs outfielder Tony Campana still leads in stolen bases with 15 swipes in 17 attempts. Brazilian Andre Rienzo pitched five scoreless innings for Monclova against Tijuana Saturday to lower his LMB-leading ERA to 0.39. A 12th-year pro who was selected for the 2015 AAA All-Star Game as a member of the Marlins' New Orleans affiliate, Rienzo has gone 2-0 in five starts since joining the Acereros as a free agent on July 3. Three pitchers have four wins apiece to top the MXL: Mexico City's Patrick Johnson, Carlos Chavez of Aguascalientes and Dos Laredos hurler Alex Sanabia, who was loaned to the Tecolotes by Tijuana last Friday, perhaps as part of the transaction that sent recalcitrant shortstop Amadeo Zazueta to the Toros after Zazueta refused to report to Nuevo Laredo. Enrique Oquendo's 34 strikeouts are six ahead of the Rieleros' Chavez in the strikeout race while Josh Lueke of Monclova and Monterrey's Wirfin Obispo are tied for the lead in saves with eight apiece. Monclova will open a series at Monterrey Tuesday in a midweek series pitting two of the top teams in the LMB North. The Sultanes will remain at home in Estadio Monterrey for an important weekend series against surprising Dos Laredo, who've risen to contention in the North with a 15-9 record under new manager Felix Fermin. When former Pittsburgh Pirates infielder Carlos Garcia was appointed to replace Dan Firova as manager in Monclova for the Acereros' Fall season, owner Gerardo Benavides' thinking may have been that the 1994 National League All-Star would somehow translate his own playing success into Monclova's first-ever Mexican League pennant. The early returns under Garcia were certainly promising enough, as the Steelers won 14 of 19 games out the gate to take the lead in the LMB North standings with the best record in the Liga at that time. Then he was gone. The Acereros front office issued a press release last Thursday stating that the 50-year-old Garcia had left the club for personal reasons, but offered no specifics, only the usual platitudes including "appreciation of your support and professionalism and best wishes in you next project" that seem to pop up whenever a Mexican baseball manager is let go. Following his 2001 retirement as a player from a career during which he hit .266 with 33 homers over ten MLB seasons (including a .277 average during his 1994 All-Star campaign), Garcia held a number of coaching and managing jobs over the years, serving as a coach with the Seattle Mariners between 2003 and 2005 under helmsman Bob Melvin and managing in the Pirates system between 2011 and 2014. He had been hired as a batting coach for the Acereros under Firova prior to the Spring 2018 season. Garcia's replacement in Monclova is Pedro Mere, who was fired in Tijuana following the Spring season after the Toros finished second in the LMB North with a 33-23 record before falling to Monterrey in the division playoff finals. Mere led the Bulls to their first pennant last summer for his first full year in the border city's managerial chair after taking Tijuana to the Serie del Rey in 2016, having taken over the reins of the team in June of that year. His overall record with the Toros was 132-68, a winning percentage of .660. Mere also managed the Veracruz Rojos del Aguila for parts of the 2012 and 2013 seasons, going 28-24. He succeeded Orlando Merced during the 2012 season and piloted the Eagle Reds, a team first formed in 1903, to the city's sixth and final MXL pennant before the franchise was moved to Nuevo Laredo last winter. Prior to his ascension to the bench boss job in Tijuana last year, Mere had a remarkable winterball run managing the Las Tuxtlas Brujos of the now-disbanded Veracruz Winter League, winning six pennants in seven seasons between 2008-09 and 2014-15, winning the 2013 Latin American Series in Veracruz as well. A native Veracruzano himself who turned 48 on July 15, Mere spent 22 summers as an infielder for seven Mexican League teams between 1989 and 2009, batting .280 with 179 homers over 2,119 games. 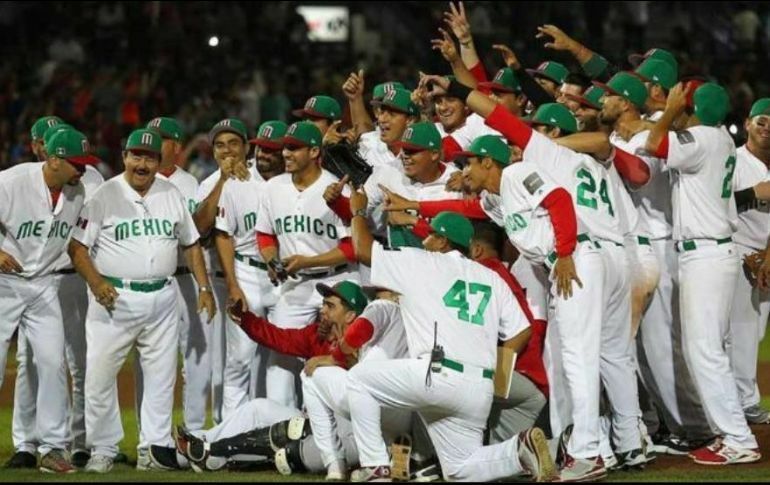 Mexico's National Baseball Team split their final four games at the Central American & Caribbean Games in Barranquilla, Colombia to conclude an underwhelming performance in a tournament for which they'd been expected to contend for a gold medal. Some of the resulting fallout has included questions of whether most Mexican League teams had withheld their top players while sending relative roster flotsam-and-jetsam instead. After starting out by dropping two of their first three games to quickly drop down the standings for the eight-nation field, the Verdes Grande fell to 2-4 by losing a 7-1 decision to Puerto Rico last Wednesday at Estadio Edgar Renteria. Luis Juarez went 2-for-4 and scored Mexico's only run in the second inning to give them an early lead while Jose Alvarez added a pair of hits, but the Puerto Ricans took the lead with three runs off Mexican starting pitcher Jesus Soto in the bottom of the third and added three more in the fifth to essentially salt the game away. Soto took the loss, giving up six runs in four innings of work. Mexico then suffered a surprising 5-2 loss Wednesday to Panama, a country whose baseball has not been considered strong enough to send a team to the Caribbean Series for decades. Sebastian Valle singled and doubled to join Alvarez and Paul Leon as Mexican batsmen with two hits, but the Panamanians broke a 2-2 tie with three runs in the top of the seventh against starter Javier Solano and two relievers and went on to post the win. 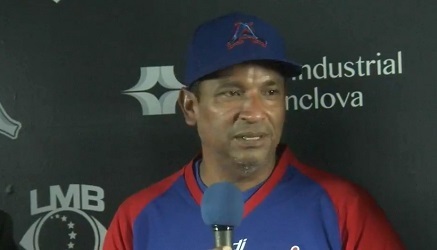 Solano gave up four runs on seven hits over 6.1 frames for the loss as the only fully-professional baseball team in Colombia saw their record bottom out at 1-4. Manager Enrique "Che" Reyes' men finally gained a measure of success by winning their final two games, starting Friday with a 3-0 shutout of Venezuela. Jose Samayoa went seven strong innings, striking out nine batters and walking two, to post the combined three-hitter with Aaron Kurcz, who pitched hitless ball over the final two entradas. Juarez paced the winner with a double and a pair of singles, scoring one run and driving in another. The Mexicans wrapped up their schedule Sunday with a 3-2 win over the Dominican Republic. Leo Heras keyed the winners' seven-hit attack with a double and two singles, scoring twice. Jesus Soto started his second game and had a better outing, allowing two runs on six hits over 4.1 innings, but the win went to Octavio Acosta, who let up just one single in 3.1 frames of work out of the bullpen. Puerto Rico and Cuba both finished the round-robin tournament with identical 5-2 records, with the Boricuans awarded the gold medal by virtue of their 8-1 win over the Cubanos on July 22. Both teams qualified for net year's Pan American Games in Lima, Peru. Host Colombia came in at 4-3 to leapfrog over Caribbean Series nations Mexico, Venezuela and the Dominican Republic to take the bronze medal. Mexico finished tied for fourth with Venezuela, Panama and Nicaragua at 3-4 while the Dominicans brought up the rear with two wins in seven outings. Recrimination of the Mexican contingent was swift back home, with fans and columnists criticizing both the Mexican League and president Javier Salinas for not ensuring that a top-notch team represented the country in Colombia. One notable exception was the Yucatan Leones, who sent catcher Valle, outfielder Heras, designated hitter Juarez and pitchers Samayoa and Alejandro Soto, all starters for the defending MXL champions. The Leones went 4-6 in their absence.